A Landmark Step in Mr. Suraj’s Case! There was a landmark step in Mr. Suraj’s case. The following report is from attorneys of the lawyers association affiliated with the case. On March 31st 2011, the Tokyo High Court made a landmark decision. It ordered the state to disclose the report showing how Mr. Suraj died. Mr. Suraj died during deportation on March 22nd 2010. Immigration Bureau employees are suspected that they may have put a towel in Mr. Suraj’s mouth our used a gag. If this is true, then the Immigration Bureau employees cannot be forgiven for what they have done. That is why Mr. Suraj’s wife decided to request reparation by the state. However, when Mr. Suraj’s wife and the lawyers association demanded the state to unravel the truth several times, the state did not explain the actual details of the case at all and did not disclose the report showing how Mr. Suraj died. So, on September 24th 2010, the lawyers association requested the court to preliminarily investigate this report as evidence. This procedure is called preservation of evidence. It was already December 6th when the preservation of evidence was finally decided on and started. Around New Year’s time, the lawyers association, together with the judge, turned to the Ministry of Justice and tried to convince the state to disclose the report. However, the state still did not disclose the report. The lawyers association requested the court to order the state with force to disclose the report, but the court stated that “documents in criminal procedures do not fall under disclosure orders” and did not respond to this request. This was a decision right after the documents of ten Immigration Bureau employees were finally sent to the prosecutor with regard to Mr. Suraj’s death on December 28th 2010. That is when the lawyers association filed an appeal against this court’s decision to the Tokyo High Court. Concerning this, the already mentioned decision was made. 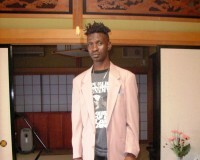 The Tokyo High Court stated that “there is no explanation about how Mr. Suraj died in spite of the fact that already one year has passed” and that “even though there was a promise to set up a contact office responsible for the case, there is no further communication”, so it made strict indications about the state’s response until now and ordered the disclosure of the report. If this report is disclosed, we will know what happened on the day when Mr. Suraj died. Finally, the first step was made towards a lawsuit for state reparations. However, we cannot say that we have enough evidence. The state says that videotape recording the death of Mr. Suraj was submitted to the investigating agency. The lawyers association is considering continuing with its activities to unravel the truth such as urging the prosecutors to proceed with the investigation. 2019.4.10 EventsPlease join us for the 20th Gathering of Migrant Laborers! 2019.3.6 EventsAPFS held a round-table discussion with actual foreign laborers. 2019.2.27 Activities ReportHelp APFS by shopping at Amazon!